Agility is a popular canine sport in the U.S. and worldwide as it is fun for both the dog and handler and it promotes a strong bond between the two of them. Using a combination of voice commands, hand signals, and body language, the handler directs the off-leash dog to correctly navigate an obstacle course in the time allowed. The number of obstacles and the complexity of the course varies with the level at which the team is competing. For AKC, these levels are Novice, Open, Excellent, and Master. Dogs of all sizes from Chihuahuas to Mastiffs, mixed breeds as well as purebreds, can participate as long as they are physically fit. 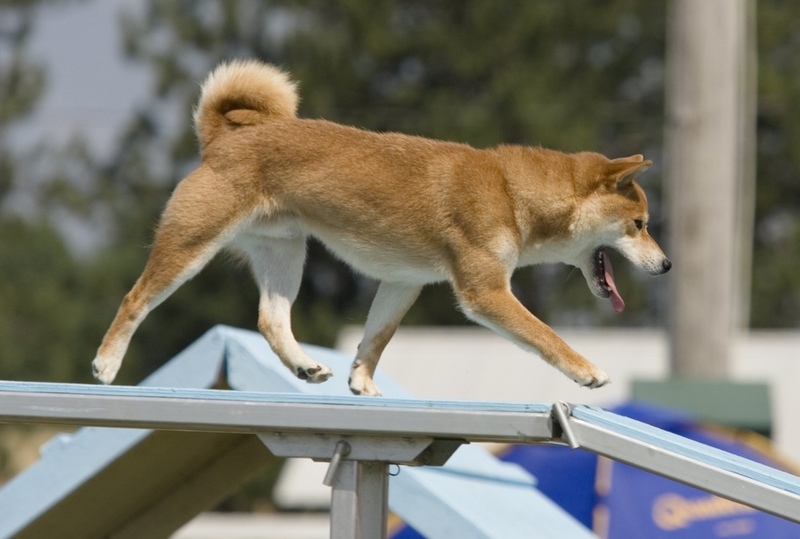 The obstacle courses for the AKC Standard classes consist of jumps, tunnels, weave poles, an A-frame, a teeter-totter, a pause table, and a dog walk. Other organizations sometimes have additional obstacles. Over the years, AKC has added several more classes. One is called Jumpers with Weaves (JWW) which, as the name implies, consists of jumps and weave poles plus tunnels. For both Standard and JWW, a dog that successfully completes the course within the time and fault limit for that course earns one leg towards the three needed for a title. FAST (Fifteen and Send Time) is a fairly recent AKC agility titling program that combines strategy planning by the handler with distance work. A certain number of points must be accumulated in the time allotted for that level. 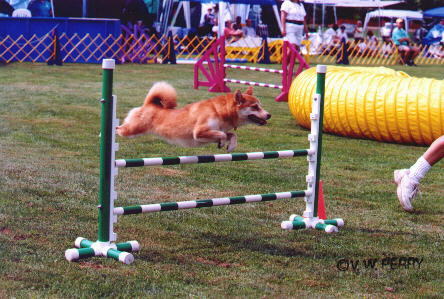 In novice, the dog must work at a distance of 5’ from the handler for a short sequence of obstacles. At the Excellent/Master level the distance increases to 15’. Again 3 legs are needed to earn a title. Time2Beat (T2B) is the newest AKC agility titling program. 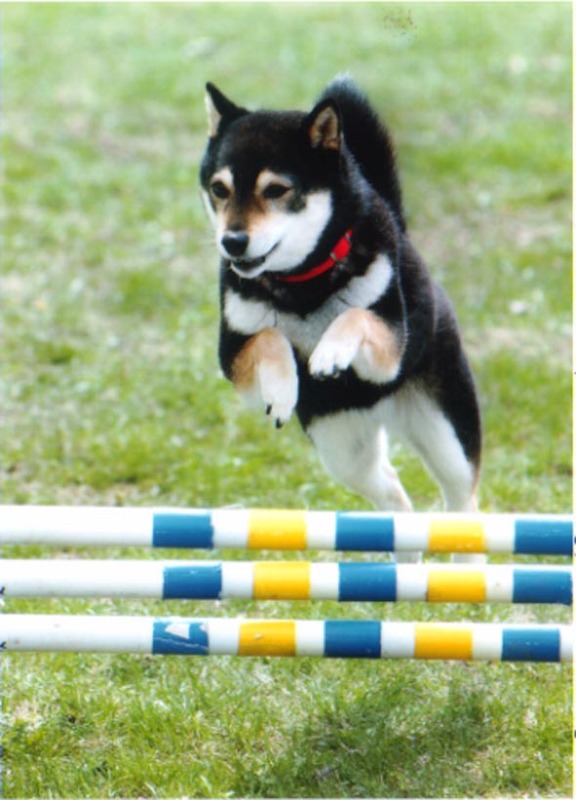 This hybrid class is unique, as each dog has the chance to set the "Time to Beat" for each jump height division. Novice through Master level dogs compete on the same course which generally is a very flowing one. The closer a team is to be the fastest one for a jump height, while meeting the performance criteria, the more points earned up to a maximum of 10. It takes 100 point and 15 qualifying scores to earn a title. Venues other than AKC have their own style of agility with some of the same and some different challenges. NADAC even has a class that is nothing but tunnels. 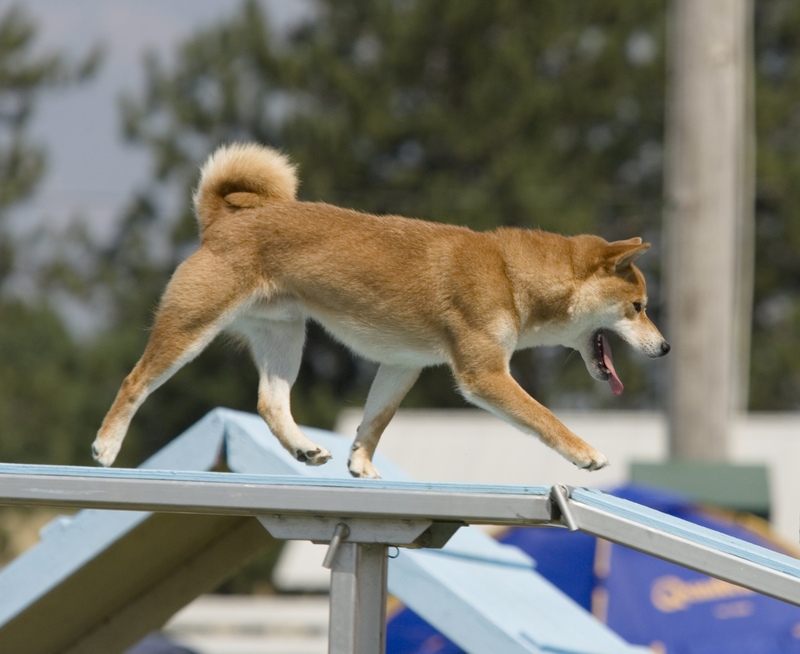 After proper training, with a naturally athletic dog such as a Shiba, the hardest part of running the course can be for the handler to remember it once he or she has left the starting line. Of course, Shibas always have the potential to be a little creative in how they run the course so a sense of humor is a must for the handler.